On Wednesday May 8th the Virginia chapter of UniteWomen.org, along with seven other progressive organizations from around Virginia, hosted a candidate forum for the candidates running for Lieutenant Governor and Attorney General. The forum was held in advance of the Democratic primary and the Republican convention here in an effort to expose the public at large to all the candidates in their respective races. Of the nine candidates for Lieutenant Governor and four candidates for Attorney General invited to participate in the forum, only the two Democratic candidates for each office chose to participate. This created a situation where only one political party would be represented and this was not our intent. We could have abandoned the forum in the face of this seeming unwillingness to participate by the other candidates, but chose to forge ahead, deciding that those who were willing to engage should not be penalized by the unwillingness or inability of others. 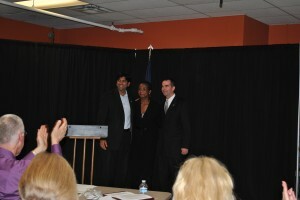 Over a hundred people attended the forum, held at The Gay Community Center in Richmond. 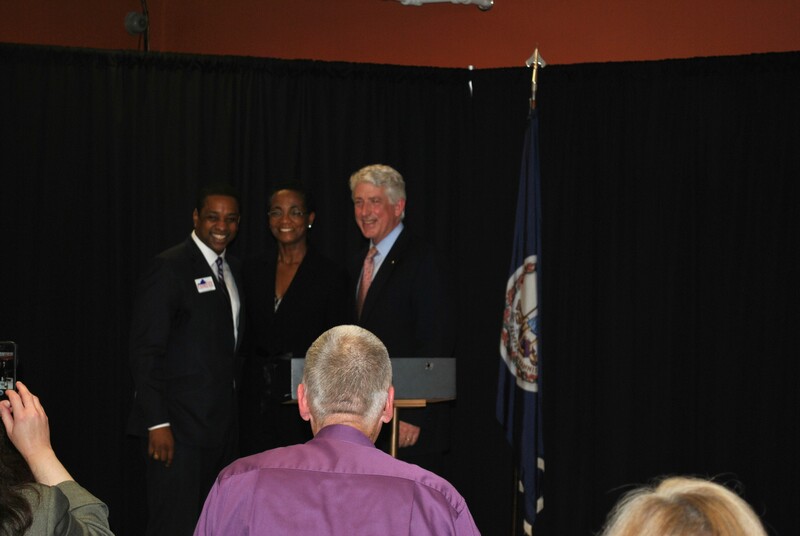 The participating candidates: Justin Fairfax, Mark Herring, Aneesh Chopra and Ralph Northam were given an opportunity to give opening remarks. Following their statements, each candidate answered questions prepared by the sponsoring organizations, as well as questions provided by audience members in attendance. The forum moderator, Dr. Kim Allen, held the candidates to strict time guidelines, for both their opening statements and their answers during the question and answer period, Following the candidate portion of the forum, a straw poll ballot was distributed that included all candidates for both offices to all those in attendance. The completed ballots were collected and tabulated by two volunteers, while being proctored by members of the participating organizations. The results, announced at the conclusion of the event, were as follows: Lieutenant Governor- Aneesh Chopra: 55%, Ralph Northam: 42% Other Candidates: 3% . Attorney General – Justin Fairfax: 54%, Mark Herring: 46%. As one of the organizers for this forum, (who, like the other participating organizations, wanted all the candidates represented fairly) I am forced to wonder how differently the evening would have played out if all the candidates had been present. I am sure it is fair to assume that the criticism of Attorney General Cuccinelli by the Democratic candidates would have been no less vocal or vehement, but there was no counter to the criticism. That lack of counter balance pays a huge disservice to the political process in general. While we understand the difficulty of coordinating campaign schedules to achieve maximum attendance at one event can be challenging, the fact that only the Democratic candidates made themselves available tells its own sad tale. Political debate, in its truest form, is the best possible way for the voters to make an informed decision. But, that can only occur when all parties make themselves available to the voters. Those of us who organized this forum felt it was even more important for full participation at this particular juncture in time, prior to the primary/convention process, before any limiting decisions or determinations were made. In my opinion, this is how the political process should work- a chance to hear opposing views in an open, engaged environment in an effort to make informed decisions based on fact, not rhetoric or sound bites. We look forward to holding future candidate forums after the party primaries and hope that all those who are approached by us will avail themselves of the opportunity to reach out to the voters. In limiting their scope to just those who have been traditionally receptive to their platform or point of view, candidates are not only paying disservice to the process and the voters, they are also paying disservice to themselves and the offices they seek to hold.